Autumn is many cyclist’s favourite season. The cooler temperatures are ideal for riding. The changing colours of the trees and hedgerows are lovely. The thing is, Autumn can creep on you. You can find yourself with a skittish-handling bike and a drivetrain that all of a sudden needs replacing. Don’t wait until the onset of winter to begin tweaking your bike for damper and darker conditions. Follow the tips in this blog to undertake a “stepping stone” setup to bridge your bike from summer through into winter. By carrying out a few simple and affordable changes you don’t have to break out your winter bike just yet. It’s nice to keep riding the bike that has served you so well over the summer. There’s still enough daylight hours around to pack in some decent day-long rides, the sort of distances where your workhorse winter bike would be a bit too much of a joy-killer. There’s more debris on the roads come autumn time.The rain flushes out more junk on to the road. The trees begin to shed their leaves all over the place. There’s more standing water due to the increased rainfall and the lower temperatures not evaporating it as quickly. The water acts as a very effective lubricant for the aforementioned debris to work its way through the tyre carcass and puncturing the tyre. You need a pair of tyres that are capable of grabbing grip, slicing through puddles and withstanding punctures. Thankfully most reputable tyre brands have a tyre in their range for such duties. If your bike has the frame clearance then fit at least 25mm tyres. If you can, you should try a modern 28mm tyre – you’ll be amazed how good they are now. 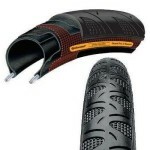 You need a tyre with puncture protection and a tread pattern designed for dispersing water. The Continental Grand Prix 4 Season is an excellent choice. As is the Schwalbe Durano Plus (this is an old post and the linked content no longer exists) (if you only want to go up to a 25mm tyre size). Yes, such tyres will always be a bit heavier than normal-carcass, slick 23mm tyres but that’s a small price to pay for a ride that involves fewer punctures and less scary bike handling in the wet stuff. The tyres mentioned above aren’t full-on winter tyres so you may not even notice much a weight gain anyway. Tip: if you’re switching to larger volume tyres then you’ll have to factor that in to your tyre pressures. A 28mm tyre pumped up to 90 psi will be a lot harder than a 23mm tyre at 90 psi. It’s during autumn when the clocks go back and the nights definitely start to draw in. Yet even before the clocks change, autumn can throw in a fair amount of dingy daylight before sunset. Fog and mist can be one of the most atmospherically lovely things about autumn but it’s not exactly great for visibility to motorists. For occasional use in unexpectedly or temporarily dim light you need a set of lights that are compact, bright and easy to install/remove. 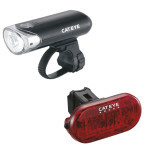 You can’t go wrong with a set of Cateye front and rear LEDs. Or if you want a stylish and leave-no-trace strap-on light setup then have a look at the Knog Frogs. A lot of rear LED lights come with a tab on the back of them for mounting them on saddle pack loops so there’s no need to attach unsightly brackets to your seatpost. During a rainy ride, even if you have mud guards, rain still has a way of getting… well, everywhere. There are weatherproof saddle packs designed to keep their contents dry. Your fair weather saddle pack may well be a dinky little one that just about contains the bare minimum. For autumn onwards you may find that you want to take a few more things with you on the ride and your dinky pack isn’t big enough and your jersey pockets end up being undesirably stuffed. 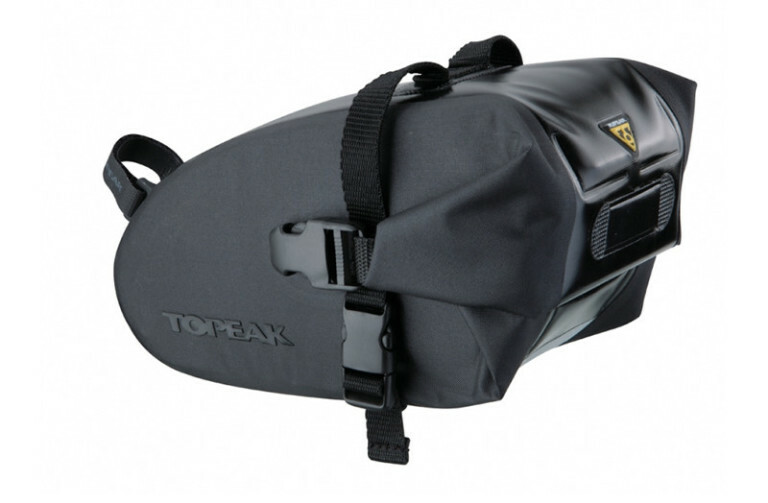 One of our favourite autumn-winter saddle packs is the Topeak Wedge Dry Bag. Excellent “roll top” design. Extremely well made. A bit more room for your stuff. If you check your chain before it’s too late you can really get loads more miles out of the rest of your drivetrain. Get yourself a chain checking tool if you don’t have one already. Buying a couple more chains every year is much, much cheaper than having to replace an entire drivetrain every springtime. You need to lube your chain more frequently during damper days out. Some wise people take a small bottle of lube out with them on the ride (remember the extra room you now have in your new saddle pack?) this means they can apply more lube during the ride if required. Don’t forget the hidden stuff. Take a few mins to re-lube your headset, your pedal threads and your seat post. If you have a carbon seat post DO NOT use normal grease (it’s soaks into the carbon and swells up the post). 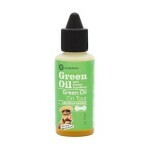 Use a specific carbon-friendly grease (this is an old post and the linked content no longer exists) instead. Clean your bike as soon as you return home. Don’t give the grime any more time to do its damage. It’s loads easier to hose the filth off while it’s all still wet too. A bike-specific cleaner is less harsh on your equipment than salty Fairy Liquid. 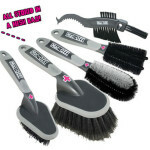 Muc-Off do a great set off bike-specific cleaning brushes that really make the chore a lot quicker, easier and more effective. Much like changing tyres, you should change the braking rubber too when autumn comes along. 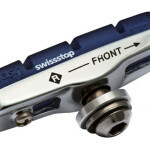 The prince of wet weather brake pads is the SwissStop Full FlashPro BXP. Not cheap but totally worth the money. One thing that can works wonders for improving your braking as you move from summer into autumn is giving your wheel rim a proper clean. The SwissStop SwissClean Rim Cleaner block does a great job of de-contaminating the rim, leaving a pristine but grippy braking surface. You didn’t think we wouldn’t mention mudguards did you? Love ’em or hate ’em, there’s little argument that they work. They may not be the nicest looking things (it depends on the bike they’re going on though a lot of the time) but if you want clear vision and a dry(ish) bum then there’s little option really. Get some guards. 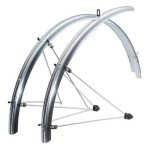 If your bike has the mountings and the tyre clearance then go for a classic set of fenders. Rock solid, consistent coverage. SKS Chromoplastic mudguards are the Daddy of proper mudguards. If your bike doesn’t have the mountings and/or the tyre clearance then there are still mudguards that do the job. SKS again make a great product called the SKS Raceblades. These don’t require your frame to have any specific mudguard mounts. Another product along these lines is the Crud RoadRacer Mk2 clip-on guards. Tagged autumn, bike prep, bike setup, cateye, chromoplastic, continental, crud, green oil, how to, muc off, park tool, preparation, race blades, roadracer, sks, swiss stop, swissstop, topeak, Winter. Bookmark the permalink.